On 25 November, West Midlands Police opened its doors to Carers' Trust Heart of England. Lil Nickolds and Paul Nicholls kindly gave up their time and set up shop in the heart of Central Police Station, Little Park Street, Coventry. Suzanne Lawlor from the Council also supported the event. "We have a number of staff that do not identify themselves as carers, but with the advice and support they received they from Carers' Trust they were educated in what facilities exist and how they can access them. It was astonishing the number of staff that visited and discussed their individual situations in an open manner. An opportunity to help the person behind the uniform. A true success and we would be grateful for an opportunity to do it again to get to staff members that couldn’t make it due to their shift patterns. We are thankful for your work". Do you care for someone with a learning disability? If so, why not come along to the Coffee Mornings held every 2 months. The topic for discussion will be: "Planning for the future"
Last month we featured the “Box of Tricks” Carers' Trust Heart of England are developing to help raise awareness with carers about the vast amount of gadgets, pieces of equipment, apps and technology that can help people live more independently and give carers peace of mind. During this last month, carers have shown a great interest in gadgets to help people get in and out of their car. This Handy Bar for example simply drops into most car door locks enabling a person to support themselves to stand or sit. Carers' Trust bought their handy bar from Argos for £15.00 but it is also available at a range of stockists online. Carers were also interested in a swivel cushion that helps people turn their legs when seated in the car. This is available online for around £7.00. To see the complete range of gadgets and gizmos please call in to the Carers' Trust, Heart of England Carers' Centre at the Central Library in the City Centre. Our staff will be only too pleased to support you. It is vitally important that the correct techniques are applied to ensure any equipment is being used safely and effectively. If you would like any support with moving and handling techniques our trainer can visit your home free of charge. To arrange an appointment please call Paul Nicholls at Carers' Trust Heart of England on 024 7610 1040 and choose option 4. 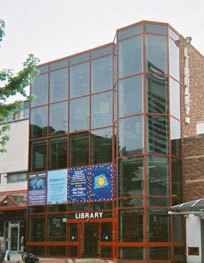 Coventry Libraries and Information Services, in partnership with Age UK Coventry, run a home library service that delivers books and other materials to people who are unable to visit the library themselves, as well as to those who may find a selection of books too much to carry home. The service is free and includes large print and talking books as well as information. There is a great choice of books as the stock is chosen direct from our library shelves. Items can be reserved free of charge and there is no reasonable limit to the number delivered. Books are delivered to your door every month by an experienced and trained volunteer who gathers information on your requirements and reading interests. This information is treated as confidential and filed with Age UK Coventry and Libraries. Have a look at the titles on offer using our library catalogue online. You can even download e-books free from our website. For more information visit www.coventry.gov.uk/libraries. If anyone is interested in receiving this service please contact Age UK on 024 7643 3980 or Coventry Library Service on 024 7683 2314. 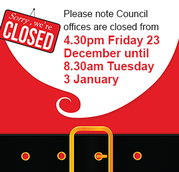 The Carers' Centre in Central Library will close on Friday 23 December at 5.00pm and reopen on Tuesday 3 January 2017 at 9.00am. Over the holiday there will be a telephone helpline available on 024 7610 1040 between the hours of 10.00am and 2.00pm on Sat 24 Dec, Tues 27 Dec, Wed 28 Dec, Thurs 29 and Fri 30 Dec.